Tiffon VSOP: is a careful blend of several selected cognacs and elaborated mainly from grapes grown in chalky hillside of Fins Bois region. 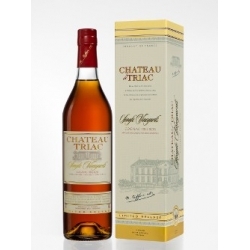 An elegant nose with floral character and a mellow rounded aftertaste with hints of spice and vanilla. 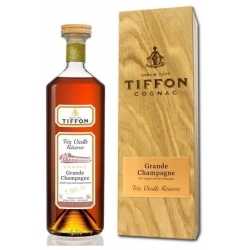 Tiffon VSOP can be enjoyed also on ice or long drink in order to highlight the fruitiness of the cognac. Tiffon VS is a blend of several « Eaux-de-vie » specially selected for their freshness from the best growing areas at the Cognac region. Tiffon XO is a blend of several old « Eaux-de-Vie » from Cognac’s finestgrowing regions, carefully matured in our cellars. 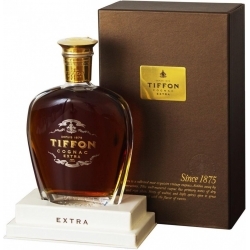 Tiffon Extra is a collected most exquisite vintage cognacs, hidden away bu three generations. 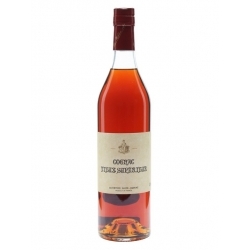 Tiffon's Cognac Vieux Superieur is a blend of vintage Cognacs matured for over 70 years and selected by master blender, Richard Braastad.